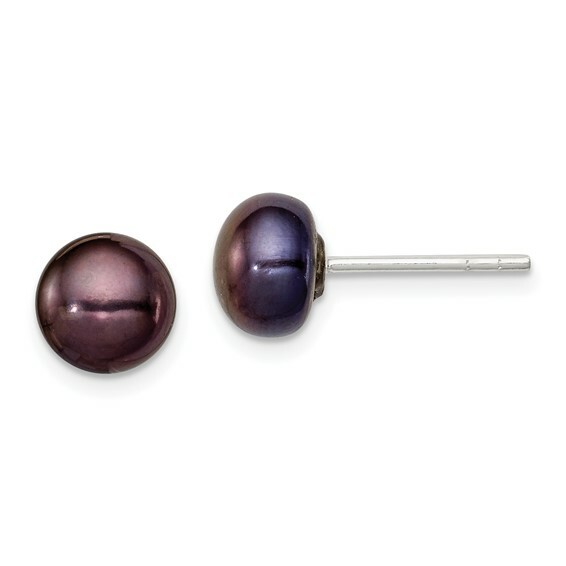 Sterling silver black freshwater cultured pearl button earrings have push on / pull off backs. Pearl diameter: 6.5mm. Weight: 1.2 grams.